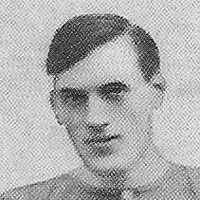 Former Queens Park and Clyde wing-half McAndrew was manager Peter O'Rourke's first signing, arriving at Tannadice in December 1922. Within three months, O'Rourke had departed, and McAndrew was placed in temporary charge, doing little more than overseeing training and selecting the team. He was caretaker manager until the end of the 1922/23 season, in charge for only 10 competitive matches, and left Tannadice following the appointment of Jimmy Brownlie as manager.